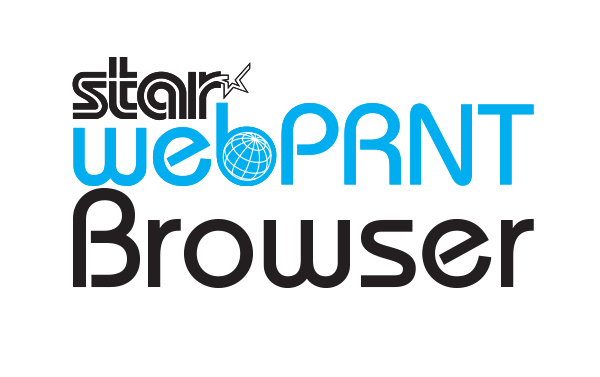 Star Micronics releases its WebPRNT Browser to extend Star's WebPRNT tehcnology for web-based receipt printing to customer using Star's portable and desktop Blueooth receipt printers in a mobile environment. Star's WebPRNT Browser allows you to print receipts or data from a web browser-based application running on a mobile device to a Star Micronics Bluetooth printer wirelessly. 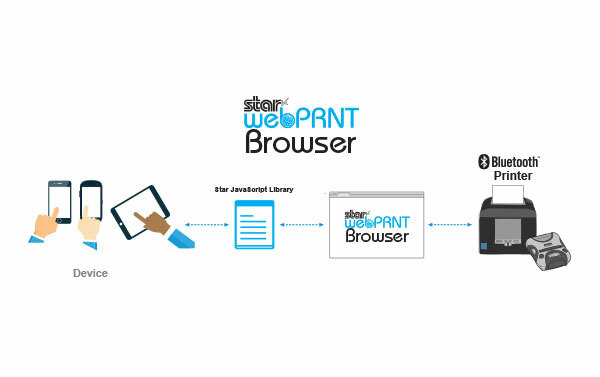 To begin, configure Star's WebPRNT Browser to open the desired web-based application which supports WebPRNT and print to the desired Bluetooth printer. Once configured, simply pair your mobile device to a Star Bluetooth printer, open your application on Star's WebPRNT Browser and print directly from the app. Easy to set up for both application developers and end users, Star's WebPRNT Browser combines the utility of WebPRNT's web-based receipt printing technology with the simplicity of Bluetooth connectivity. Star's WebPRNT Browser will be offered in both a free version which includes a Star branded receipt as well as a premium version which allows for a fully customizable receipt. The premium version will have a one-time flat rate fee per download. Supporting all Star Micronics Bluetooth printers, Star WebPRNT Browser is available for iOS and Android operating systems. WebPRNT Browser extend Star's WebPRNT technology for web-based receipt printing, which eliminates the need to install drivers or download software. Configure WebPRNT Browser to open the desired web-based application to any Star portable and desktop Bluetooth enabled printer. WebPRNT Browser is offered in a free version and premium version. The free version offers a Star branded receipt and the premium version offers a fully customizable receipt. The premium will have a one-time fee for download. Once configured, the user simply pairs their mobile device to a Star Bluetooth printer. Open the WebPRNT Browser and simply print from the application with the Bluetooth connectivity. Supporting all Star Micronics Bluetooth printers, WebPRNT Browser enables printing form any web-based application compatible with iOS and Android operating platforms and available for download on the App Store and Google Play.